Im wondering if you could give me a quote for completely clearing a cluttered 2 bedroom flat that has now become completely overwhelming. Every room is full of junk. Can you help with something like this ? At the moment i am just looking for a rough quote so i can establish whether i can afford to go down this route. If you are to contact me can you please do this by email – many thanks. 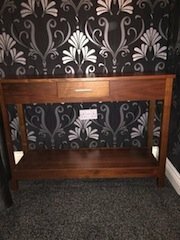 A large Walnut hallway console table, having a central drawer above a large shelving area. 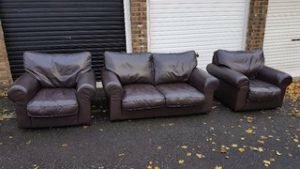 A three piece sofa suite, comprising a two seater high back sofa and two matching armchairs, upholstered in brown faux leather. 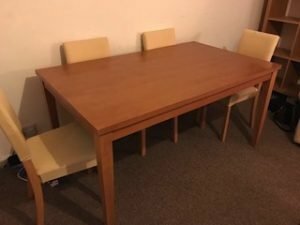 A solid pine rectangular dining table, together with four matching high back dining chairs. 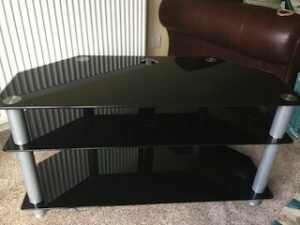 A large black glass and chrome, three shelf entertainment stand. 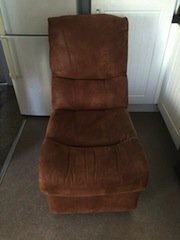 A high back reclining lounge chair, upholstered in chocolate brown authentic suede. 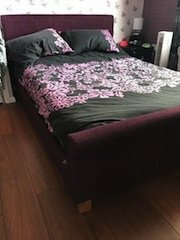 A purple fabric upholstered double bed frame on solid pine legs, with a double mattress. 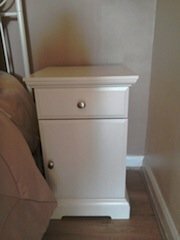 A white solid wood bedside unit, having one drawer above a cupboard, with chrome oval knobs. A large solid pine chest of drawers, having two small over four large drawers, each with grey plastic knobs. 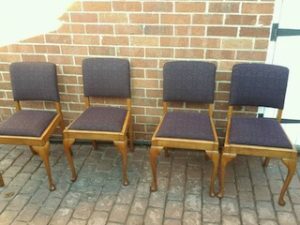 A set of for mid-century solid wood framed dining chairs, upholstered to the seats and backrests in black damask patterned fabric. 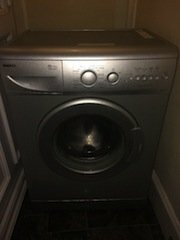 A silver Beko 1400 spin under counter washing machine. 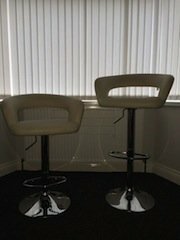 A pair of chrome based swivel breakfast bar stools, upholstered to the seat in cream faux leather. 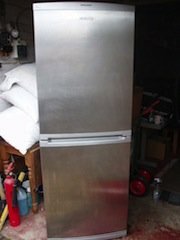 A silver stainless steel Beko, tall standing two door fridge freezer. A black double bed frame with two drawers on one side, with a double buttoned mattress. 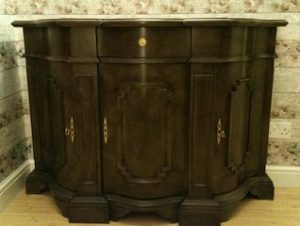 An antique solid oak carved sideboard, having a central drawer above three key locking cupboards, having brass detailing. 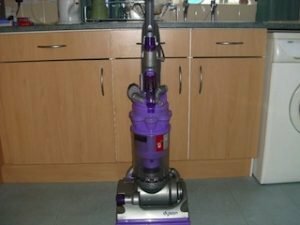 A purple and space grey Dyson DC14 Animal, upright vacuum cleaner. 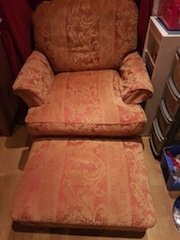 A vintage high back armchair and matching rectangular footstool, upholstered in damask patterned terracotta fabric.